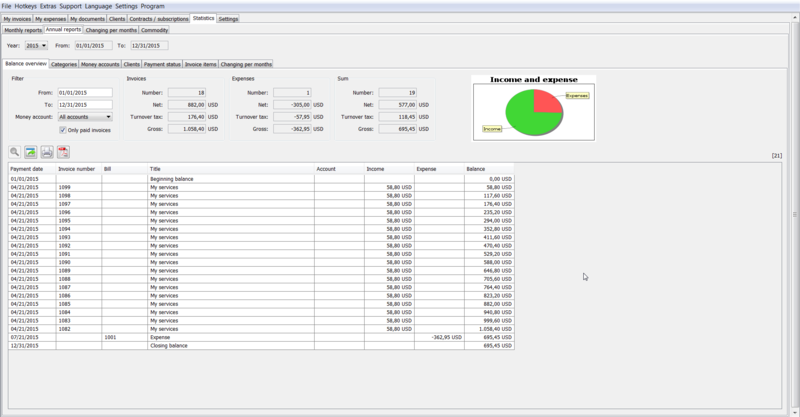 With the program “Invoice Creator” belongs the battle with the monotonous formatting to the past. Simply use our already preformatted documents and add only the invoice recipient and invoice items. 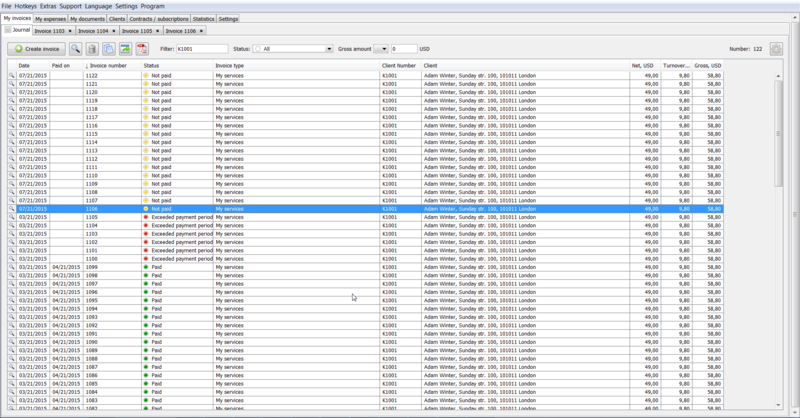 For all other invoices you can even take this data - for real time profit, which pays off! Our program provides You not only with already preformatted invoices, but also with templates for quotations, order confirmations, purchase orders, business letters, memoirs and delivery notes. 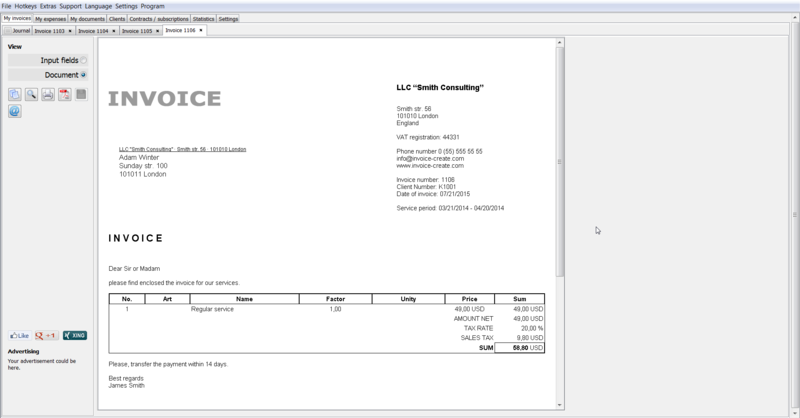 Create your own document and turn it with just a few clicks into an invoice. All documents can also be duplicated or used as templates. Thus, managing of Your clients will be a cinch! All once entered information will be saved in the system can be easily recalled and used repeatedly. You can use the full range of automated data management and benefit from our high safety standards. 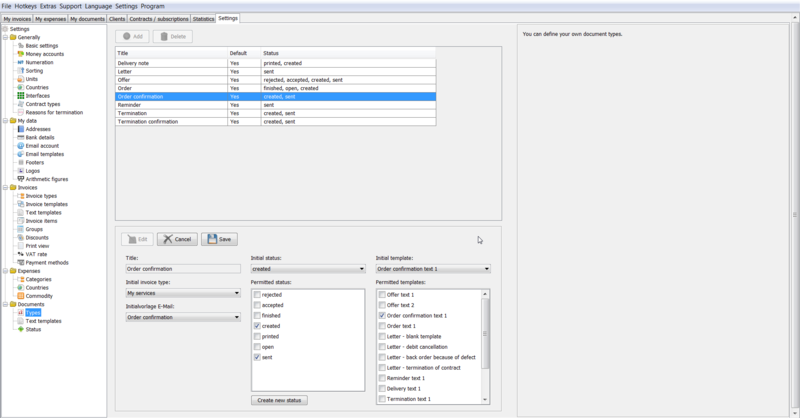 Our Installation Manager helps You to install the Software and our Wizard Assistant helps You to make default settings. Digital must not be always complicated! “Invoice Creator” will support you in all areas of billing. Leave multiple addresses, phrases, payment methods, footers, invoice items and choose every time suitable components you need. The most frequently chosen will be automatically saved as standard – thus, you save valuable time and still remain flexible! Strike out a Line of Own! Our program gives You, even with the minimal html knowledge, a possibility to create your own invoice templates and integrate them into the program. And even without any computer skills You can implement Your own ideas: the team of “Invoice Creator” offers guests a fee-based service. Send your completed invoice directly from the program by e-mail. 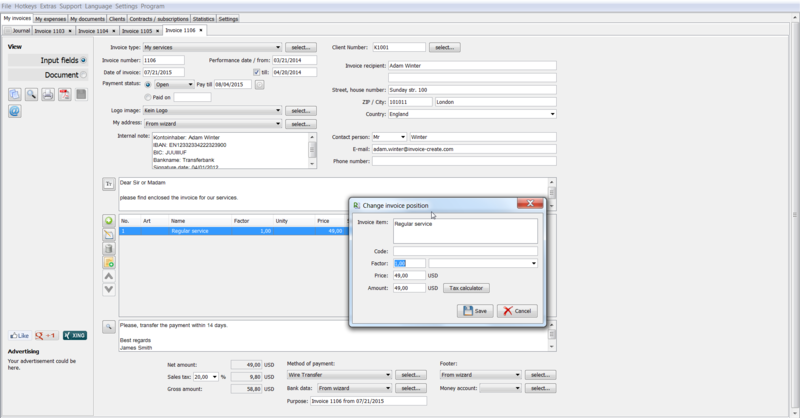 Our import function allows you to integrate already existing invoices from Excel into the “Invoice Creator” and join all the invoices of a table to a single pdf-document with just few clicks. No more fear of a tax office! “Invoice Creator” will assist You in the safe and accurate bookkeeping. Your installed “Invoice Creator” asks regularly for updates from invoice-create.com. If available, they can be easily installed automatically or manually. So you and Your software will be kept up to date. 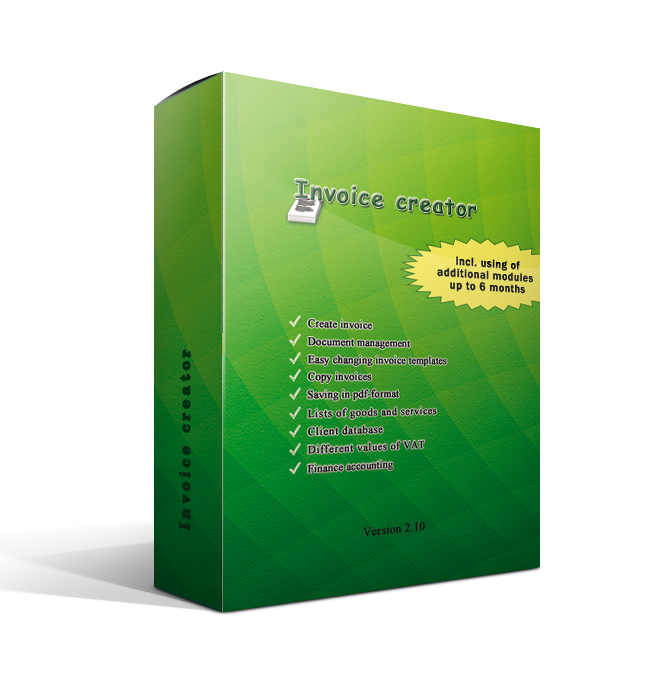 With “Invoice Creator” we want to take over some of Your daily work. If You have any questions, or problems with the software, You can find answers in our forum. This forum was created for our users and contains many interesting discussions, which will help you in the future to use of our product. The safety of your data has the highest priority for us. All data are stored locally on the user's media, without access opportunities for third parties. Also, our online version of the program is absolutely secure: data encryption is performed according to the highest quality standards.